Recognized as a top “100 Women Entrepreneurs in Atlanta”, international protocol and image consultant, April Ripley, has helped hundreds people and businesses outclass their competition and position themselves at the top of the ladders for success in their lives and industries. April is founder and CEO of The Premiere Image, a company devoted to creating “exceptional” people and companies. With a style that blends an interactive, entertaining approach with a direct, professional format, April teaches time-tested principles for professional and personal success, advancement and influence, impact and growth – making protocol and etiquette relevant in today’s ever-changing world. April has advised and consulted government officials, corporate executives, business professionals, community leaders, and celebrities. In addition to consulting, April is a sought-after author and speaker, who has carried her expertise to six continents. Her book, The Calling Card of Business – Success from the Inside Out, and social media presence have allowed April to share her insights for “exceptional living” with an even broader audience. 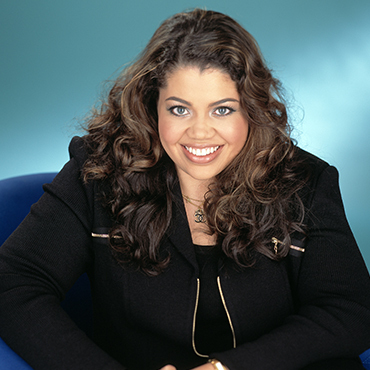 April earned a business degree from The University of Georgia and certification as a Corporate Etiquette and International Protocol Consultant from The Protocol School of Washington. She holds diplomatic status with the United Nations through Word of Life Ministries International, a non-governmental organization in special status with the UN’s Economic and Social Council. April is a trustee of the International Third World Leadership Association, founded by the late Dr. Myles Munroe, and works with a number of local and international service organizations and initiatives.